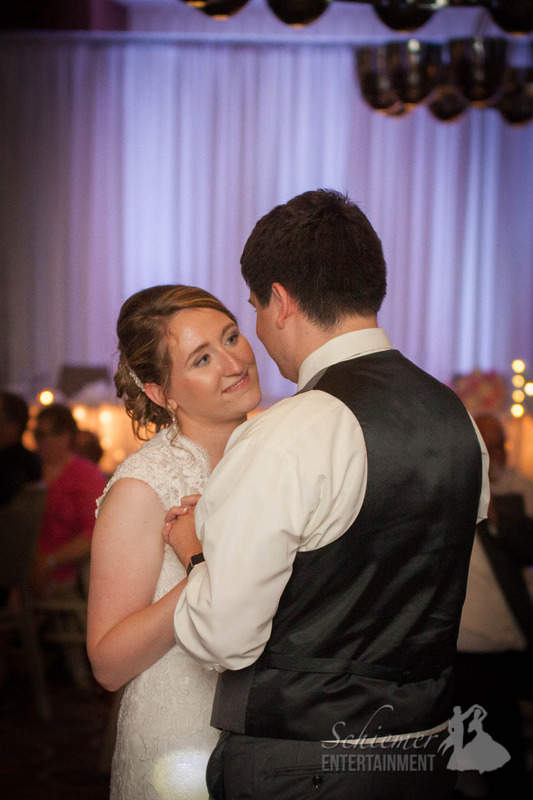 The first dance of the bride and groom is always a special moment during the reception. I’m always impressed with couples who take the time to choreograph the dance since it adds so much extra work and pressure to the big day. 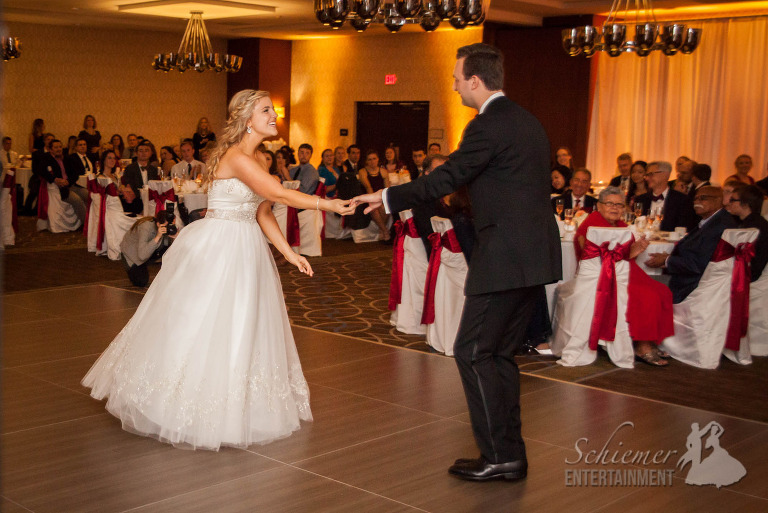 Rachel and Griffin clearly had spent lots of time learning their dance and the results where absolutely worth it as all their guests clapped and cheered throughout their amazing performance. 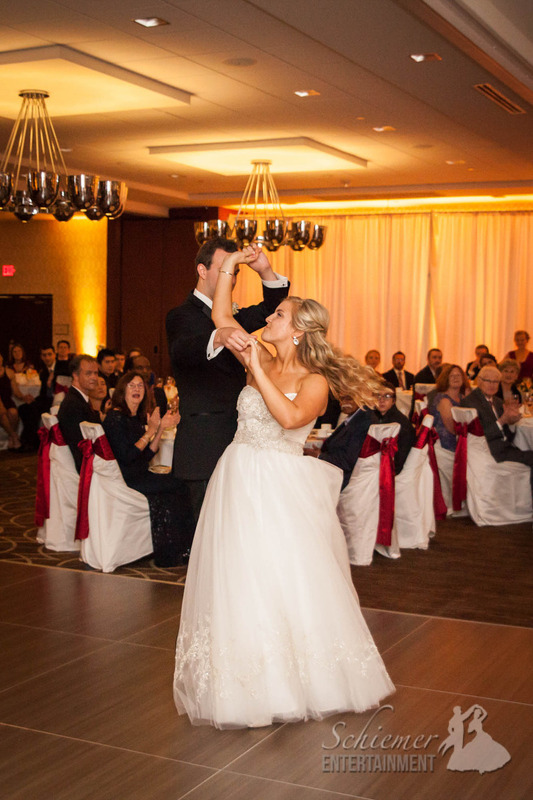 Their reception was at the Sheraton Pittsburgh Airport and the ballroom looked fantastic with red chair sashes with amber uplighting. 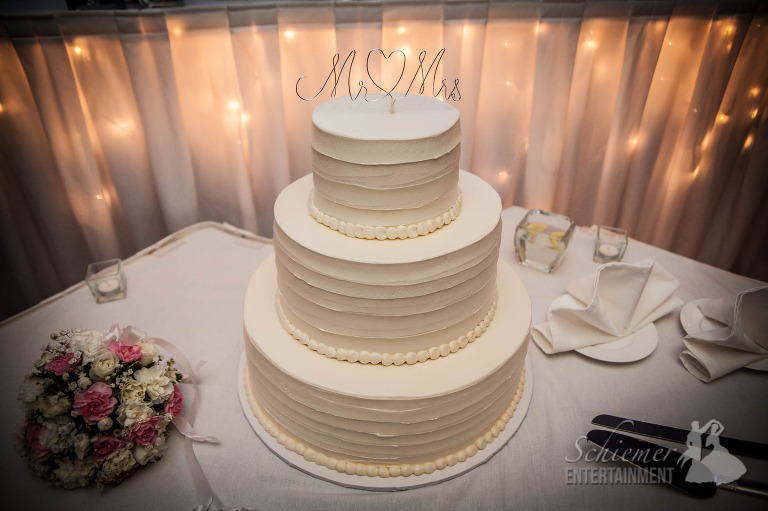 It made the perfect setting for an evening with friends and family who had gathered to celebrate with the newlyweds. Everyone was definitely inspired by Rachel and Griffin’s first dance, since after dinner the dance floor instantly filled as all the guests joined in the celebration. The playlist included a great variety of music from yesterday and today, so no one was left out of the party. The happy couple is now headed off for a romantic honeymoon in Jackson Hole, Wyoming to enjoy the success of their epic wedding day. Many soon-to-be-married couples spend lots of time figuring out what they will give to those who attend their wedding. While the favors, hor d’oeuvres and special music selections are all very important, the best gift for your guests is giving them a good reason to come together and be part of a once-in-a-lifetime celebration. 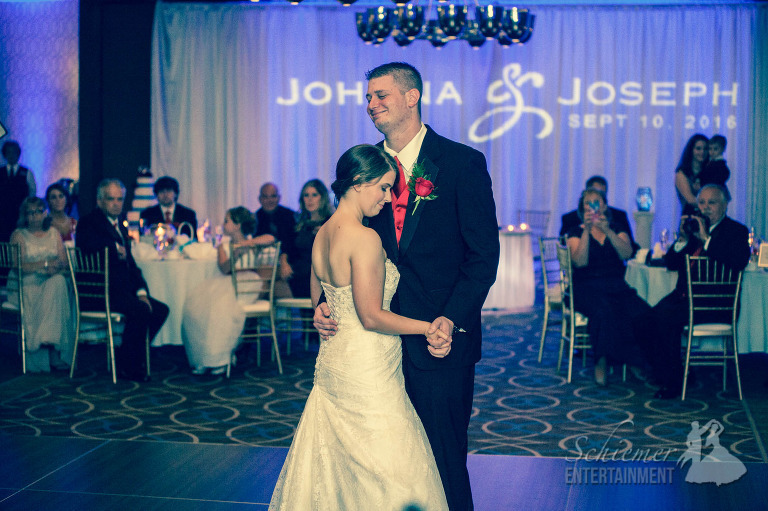 Johnna and Joe’s wedding was perfectly planned so everyone could enjoy a day of joy and happiness with family and lifelong friends. 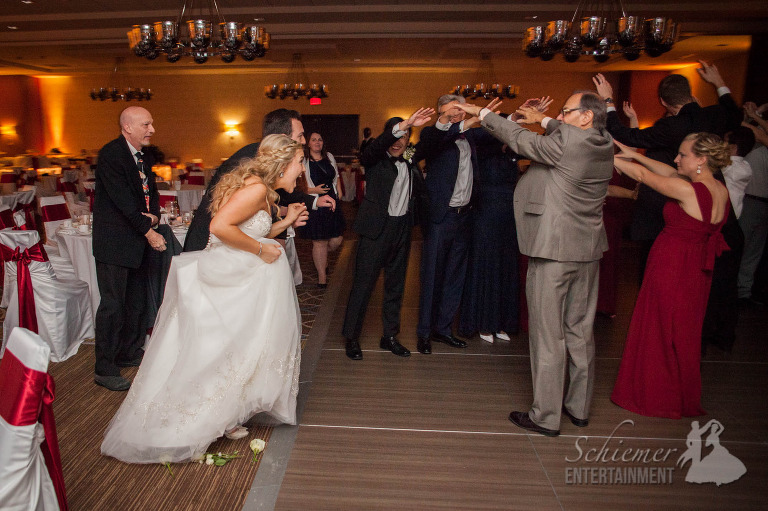 Their ceremony was held at the Sheraton Pittsburgh Airport Hotel. Making things even more special, Johnna’s aunt officiated the ceremony. 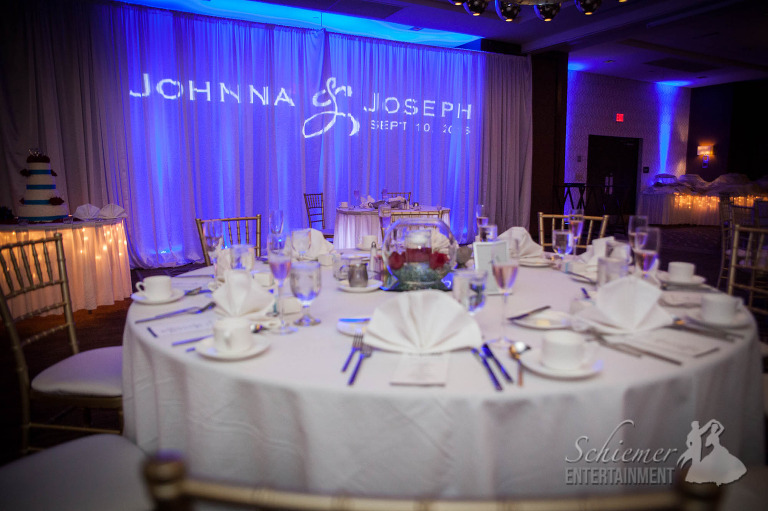 The ballroom looked amazing with stunning blue uplighting. 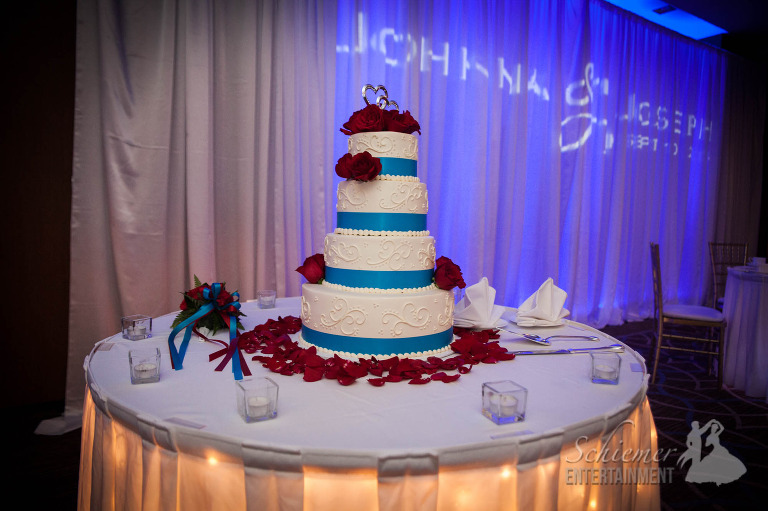 I was thrilled to be able to provide a custom monogram above their sweetheart table. There was plenty of good food, conversation and a great variety of dance music. 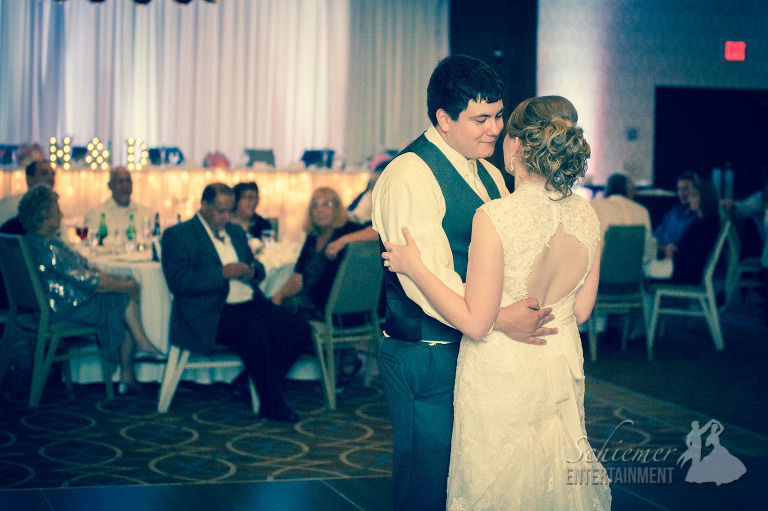 More importantly, the room was filled with joy as everyone enjoyed celebrating Johnna and Joe’s new life together. The newlyweds are soon off to enjoy a gift to themselves, a romantic and well-deserved honeymoon in Hawaii! I feel very fortunate that I get to work with some of the sweetest couples in Pittsburgh to help make their big day extra special. 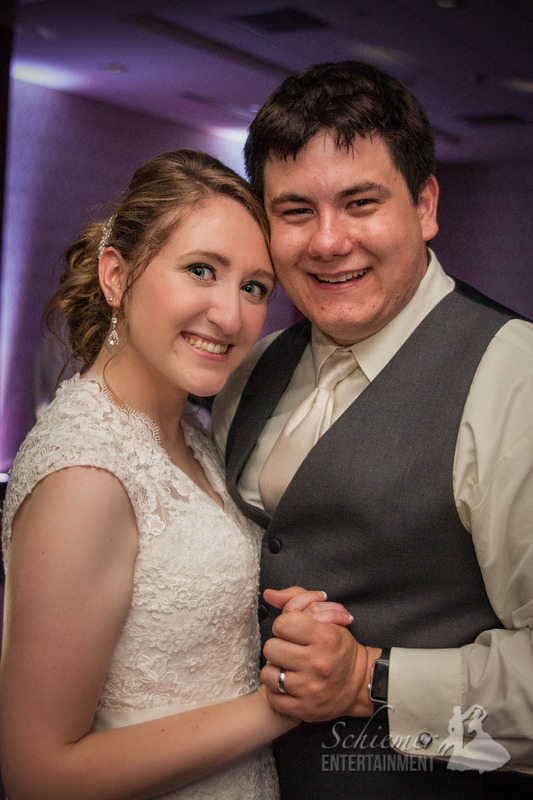 Working with Nicole and Dylan was a fantastic experience not only for me, but for all of their vendors. Everyone from the photographers to the venue staff commented on how great it was to work with such wonderfully nice and relaxed people. 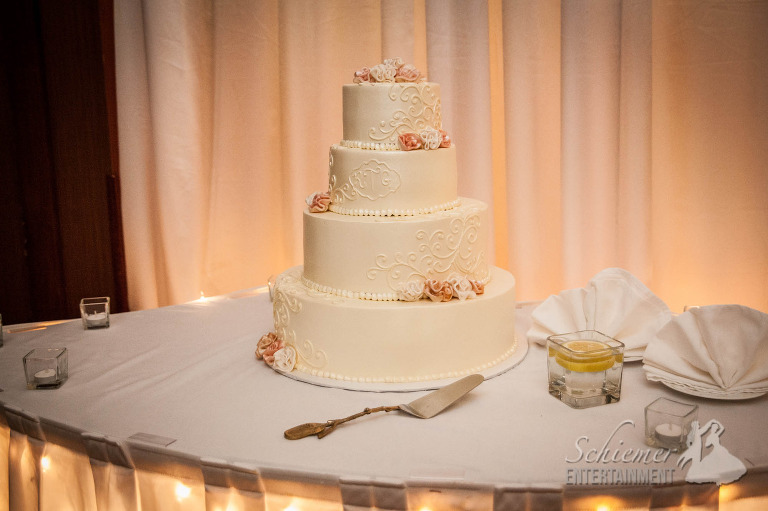 Nicole and Dylan held their reception at the Sheraton Pittsburgh Airport Hotel. The ballroom looked beautiful with with lots of special touches and uplighting. I loved that they chose to ask guests to sign their Bible and highlight their favorite verse as a guest book. The newlyweds chose some great music for dancing, but left lots of freedom for me to play what would keep their guests on their feet. 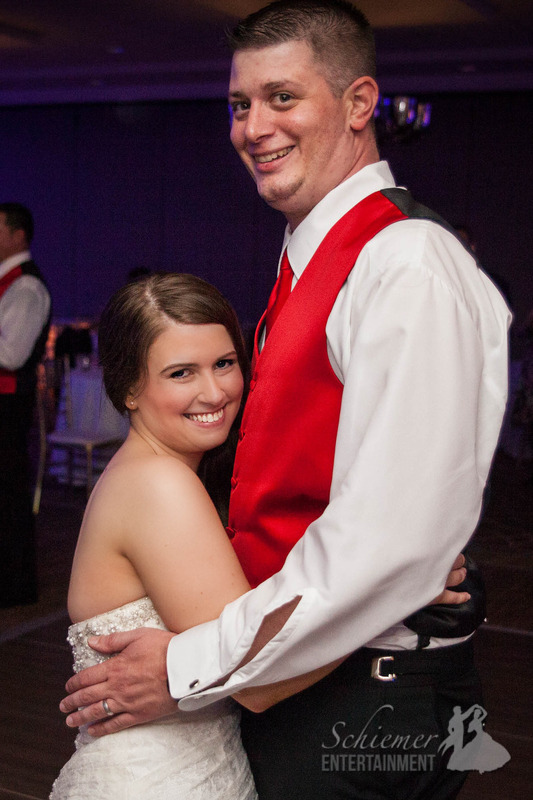 They planned their reception as a huge party for their friends and family to enjoy, and wanted to be sure everyone would have a chance to get on the dance floor. It was great to see everyone from 8 to 80 join in and celebrate with Nicole and Dylan. After doing so much work to be sure their guests and vendors could enjoy their wedding day, the happy couple is off for a well-deserved honeymoon in Punta Cana.